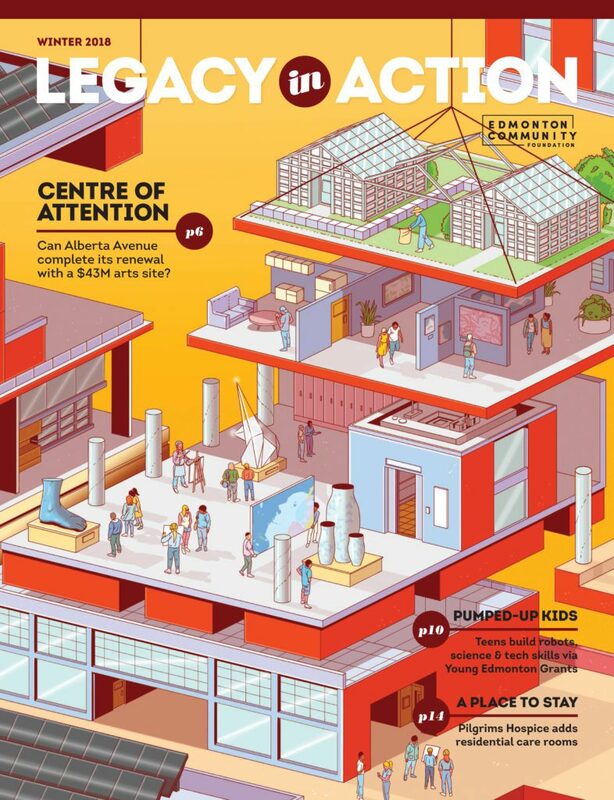 Legacy in Action Magazine is produced by Edmonton Community Foundation. ECF works with donors to create endowment funds that support charitable causes in Edmonton and beyond. Legacy in Action brings its readers compelling stories from the spaces where endowments and community intersect. From arts and education to health and the environment (and everywhere in between), Legacy in Action provides a unique perspective on issues in the community.